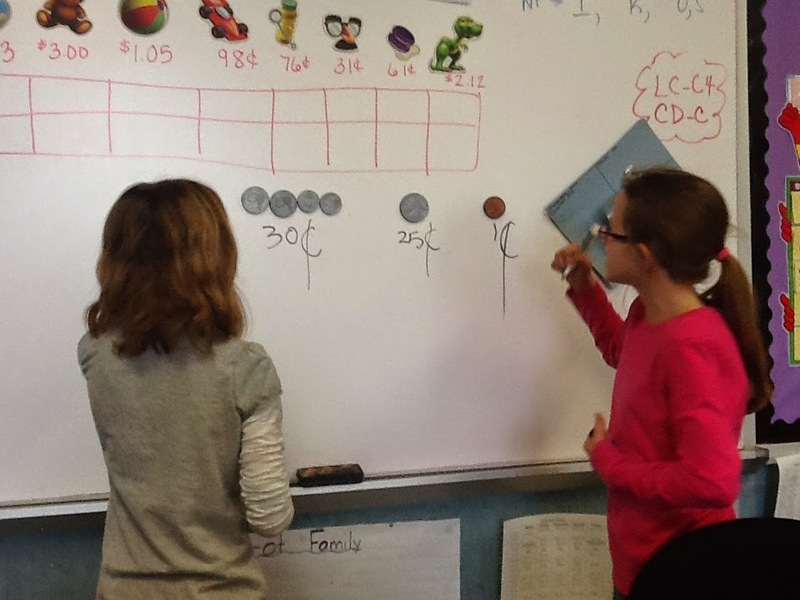 Rome City Resource Room: Do we have enough change to purchase an item? 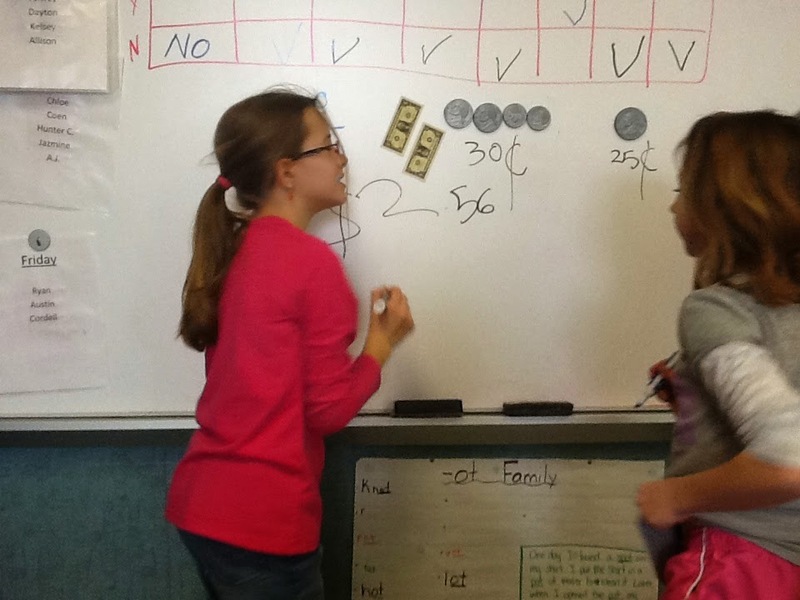 4th grade students worked together to determine the amount of money they had. 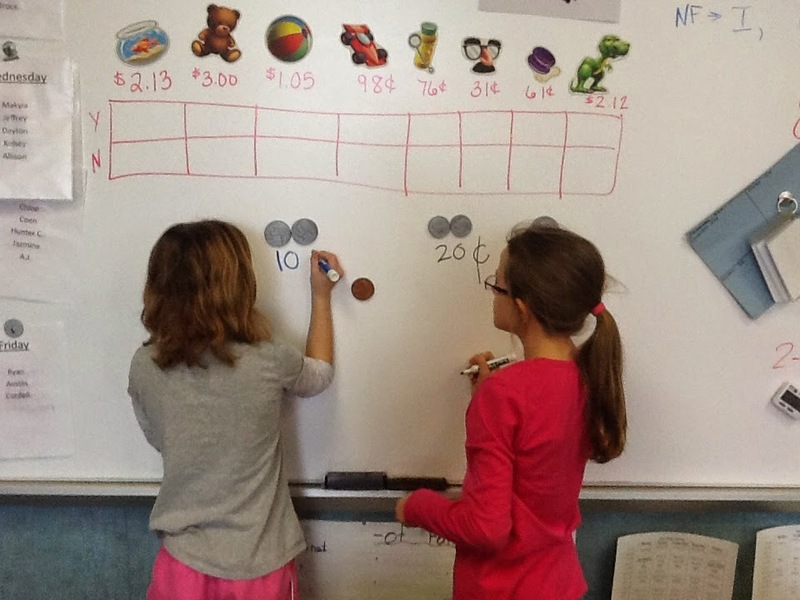 They then used that amount to determine whether they were able to purchase particular items at given prices. 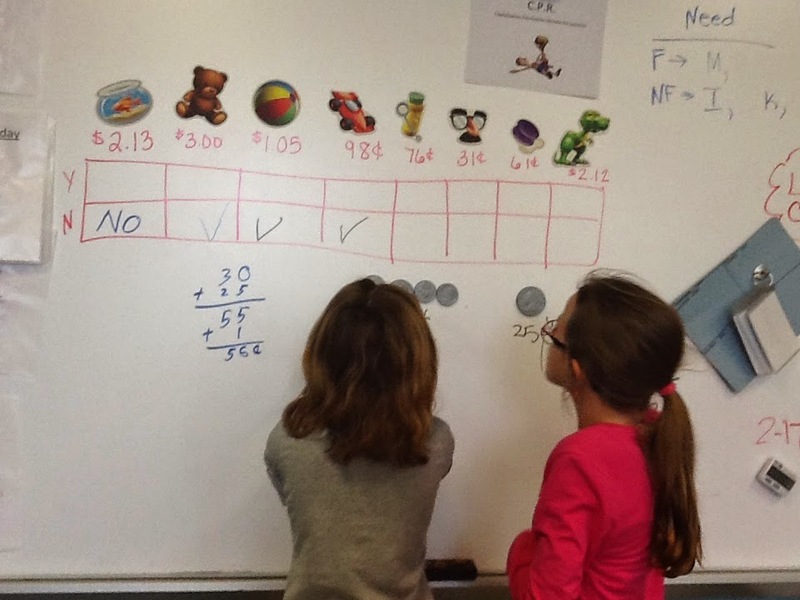 Students filled in a chart to mark whether they could purchase each item. This is a typical question students must solve, not only on tests, but also in real life. Are they able to purchase the item they want at the store? Do they have enough money? One of the areas that was explained that you may have money left over! You can still buy the item. At home application: You can give your child an amount of money to go "shopping" with, starting by looking through ads. What can they buy with the amount of money they are shopping with? Give them a task: making spaghetti for dinner, what do you need to purchase to have all the ingredients? How much money do you need to buy those ingredients? What change would you get from a 'round' dollar amount (i.e. $20)?